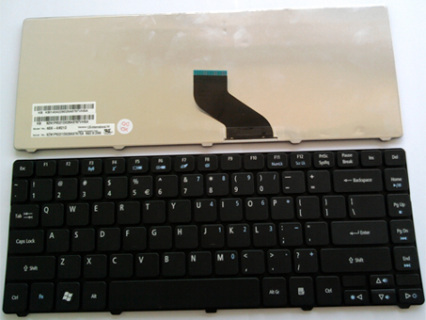 Notice: The image on our website is for the actual product, please compare our product with your original one carefully and assure their function keys are the same. 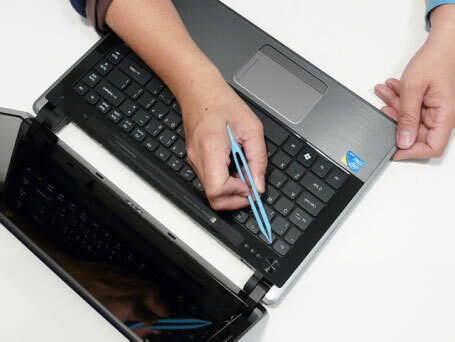 In this guide, the actual laptop is Acer Aspire 4820T. It should work on 3820TG / 4741G / 4820TG. 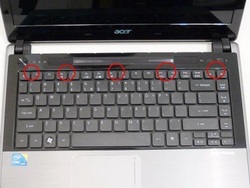 First of all, please turn off your Acer Aspire 3820TG / 4741G / 4820TG, disconnect the power adapter and remove the battery. 1. Fully open the lid. 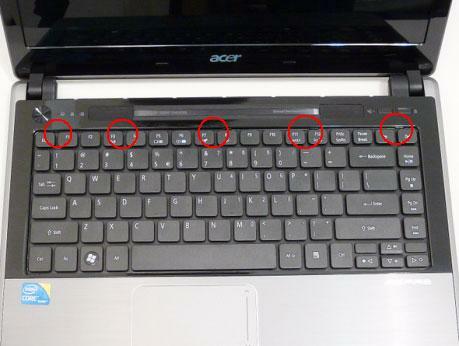 There are five (5) securing clips that must be released in order to remove the keyboard. On the 4741G keyboard, there are three clips only. 2.Release each clip, working from one side to the other. 3.Using both hands, gently pry up the cover as shown and turn it over. 4. Open the locking latch on the FFC, and disconnect the cable as shown. 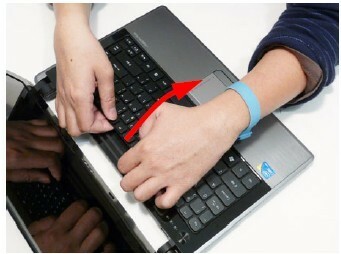 Now, you can remove the keyboad. Reverse the procedure to install your new Acer Aspire 3820TG / 4741G / 4820TG keyboard.